4K resolution, the ultra-high resolution standard of digital television, movies and videos, includes 2 kinds of specification: 3840 x 2160 and 4096 x 2160 pixels. 8K refers to the horizontal definition in the order of 8000 pixels, forming the image total dimension of 7860 x 4320.When speaking of 4K, it is hard to go around 8K, but how to easily download and play 4K 8K videos with the best 4K 8K player, and what do we do when error occurred while playing 4K 8K videos? Here this how-to guide deals with every nitty-gritty details of 4K 8K video and illustrates how to play 4K 8K UHD videos properly and smoothly. Even the most effective computer can't play 4K 8K videos alone, your eyeballs need a professional 4K 8K video player software – 5KPlayer. Now blow up your mind with ultra-clear 4K movies! With free support for all HD, Ultra HD, Full UHD video downloading, streaming and playback, 5KPlayer confirms to be your all-purpose 4K 8K media player which let you watch 4K 8K movies on multiple devices like PC, Mac, Apple TV and mobile. 1How to Download and Play 4K Resolution Videos? Prepare yourself a 4K set, a Mac with retina 5K display, or a PC with 4K resolution monitor. Though 1080p monitor can handle 4K videos, for those discerning viewers, we suggest your nabbing a decent 4K resolution monitor for a rainy day. If you plan to watch videos in 4K resolution on PC/Mac, 5KPlayer would be your best choice in terms of dealing with high res videos. It supports playback of 4K, 5K and 8K videos, playing 4K DVDs, saving 4K res videos and rendering them to the best quality ever, smoothly without hiccups. When you've installed the 4K resolution movie player, you just need to drag & drop the target 4K videos to the 4K video player. To avoid lacks of 4K video contents, you can also download 4K videos from 300+ online videos sites with this 4K video downloader. 2How to Play 8K Movies on iMac and PC? There are only a few movies and TV shows made in 8K resolution, but along with the development of AV industry, an increasing number of super high definition videos will be available and 8K movies, 8K sports games, 8K TV shows will definitely dominate high res entertainment. Best free 8K player for Windows 10 - 5KPlayer comes as an one-stop solution. Unlike most media players that execute external video codec pack to enable 8K video playback, 5KPlayer for Windows 10 configures support for H.265, MKV, VP8/VP9 streaming. Launch this 8K video player for Windows 10 and Mac El capitan, it converges every spare memory of the computer, performing Quad UHD 4320p videos to the fullest under limited space and device conditions. Step 1: Launch 5KPlayer, the 8K video player for Windows 10 and Mac, click "Video" button on the main interface. Note: Playing 8K movies on your Mac or PC with 5KPlayer does require a high performance hardware computer, it plays 8K videos just as easy as playing the general videos. 3How to Play 4K 8K Video Content via Apple TV? To experience immersive 4K 8K video visuals, the larger the screen the better. Then, nothing comes close to a big 8K HDTV screen with a quality monitor. However, 4K 8K video contents are not as widely spread as 1080p HD daily programs are for TVs, yet tons of 4K movies and 8K video clips are found available on the web. Should you have those high-res videos beamed to the 8K HD quad TV screen, you’ll need 5KPlayer's AirPlay function. 5KPlayer's flagship-level AirPlay performance brings you the ultimate 4K 8K visual feast on UHD display by directly beaming the content to the Apple TV. It supports 4K streaming to the latest Apple TV 4 and enables users to watch 4K Netflix movies free. Nevertheless, one deficiency of this AirPlay function is its limited format support – only streaming videos in MP4, MOV, M4V, and audio in MP3/AAC. Space-saving video container format like MKV is out of the question. So a professional video converter – WinX HD Converter Deluxe (Click for Mac version), may well be at your service just right to convert those files to AirPlay compatible formats. How to stream MKV videos on Apple TV? to Mac and Mac to Apple TV? How to solve 4K video AirPlay errors? For Windows , it is an incredible compact converter software featuring functions of an Ultra HD video converter, an online (YouTube) video downloader, a slideshow maker and a video editor, can deliver you ultimate control over any HD 4K resolution video files on PC. Having access to multiple CPU cores, this converter simultaneously enables QSV and CUDA/NVENC to encode and decode videos in a flash! for Mac, it is a compelling Mac exclusive video converter package, allows you to download, convert, edit and record videos. With 320+ video and 50+ audio codecs support, it assists users to convert 4K UHD, MKV, AVCHD, M2TS, MP4, AVI, WMV, MOV, VOB, etc to any video/audio format for watching on iTunes/QuickTime, editing in Final Cut Pro and iMovie, sharing on YouTube and Facebook, or saving in the latest iPhone 6s/Plus/SE, iPad /Pro/Air 2/Mini 4, Android, Samsung Galaxy Note 5/Edge, HTC, WP8, PS4 etc. All-round video solution to convert video, download YouTube video music, make photo slideshow, capture screen, record and edit video. Convert 4K & HD videos to iPhone, iPad, Android, Samsung, Surface, Lumia, PSP etc. 5x faster than others, and no quality loss. 4How to Fix 4K 8K Video Playing Error? Finding problems to play 4K 8K videos? When the first 8K/4320p video "Ghost Town" hit YouTube 2015, it was said that a lot of people didn't have the computer powerful enough to play something of this size online. And when playing 4K 8K videos offline, people also have the problems like video player crashes, showing "not supported content" error messages, etc. But now, in order to watch YouTube 4K 8K Videos offline on Mac and PC with non-recess, you might want to take a look at the following solutions. For Windows: As we know, Windows 10 natively supports 4K videos playing as Microsoft added support for H.265 (HEVC) in Windows 10. Of course you need a video player to invoke this module to decode 4K video and set it play. But if you have a 4K video player such as 5KPlayer which decodes H.265 codec and play 4K videos in MKV, MPEG-4 natively, even on Windows 8.1, Windows 7 or Windows Vista, you don't have to worry about 4K video not playing on your PC. For Mac: There are only two things you need to play 4K resolution videos on iMac with retina 5K display: Mac OS X 10.6 to 10.11 and a capable 4K video player! A UHD video player is dual-functional in fixing 4K 8K video playing error. For Mobile: Most 4K video playback on iPhone is inevitably choppy or not even playing due to 4K format issues. To solve 4K video playing error on mobile, the simplest and most cost-effective solution is to convert the MKV 4K video file to MP4. Since YouTube started to support 4K-resolution videos, the corresponding YouTube 4K troubles arise successively. In order to solve YouTube 4K problems like "An error occurred, please try again later", ""video is choppy or stops earlier", "no sound in YouTube 4K videos", etc, you may try to download 4K videos from YouTube. Without doubt, downloading 2160p Ultra HD videos from YouTube is way smoother than watching them online, and this why you need 5KPlayer – the excellent 4K video downloader. With this YouTube 4K video downloader, users can directly and freely download 4K movies or download 4K video songs from YouTube to watch 4K movies without hiccup. Sometimes it could be the problem of your 4K video player. Does it natively support 4K 8K video playback, or it will need HEVC codec pack to play 4K videos smoothly? Now that it works well on one PC, but just quits playing 4K 8K UHD videos anymore once you switch to another device? Take VLC – the primary free 4K player for example, it also has tremendous problems of playing UHD videos. Q 1: Codec not supported in VLC. "I was playing H.265 encoded 4K videos on VLC Player 2.2.1 but get errors like[Codec not supported: VLC could not decode the format 'HEVC' (MPEG-H Part2/HEVC (H.265))]"
Q 2: VLC plays 4K video but not audio, or audio delays. "I downloaded a 4K MP4 video off YouTube with a video downloader I got from Firefox, with every 4K video I tried, it will download like it's supposed to, but when I play 4K with VLC... there's no audio. " 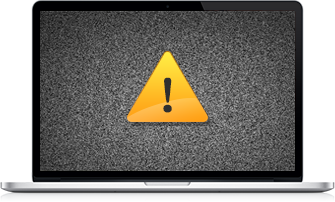 --> Solve VLC audio delay problem. Q 3: Playing 4K videos with VLC is choppy. "No matter I download the 4K video or set the VLC output to Open GL, watching 4K in VLC is still choppy and stuttering." For those tricky problems, there are indeed some workaround cures besides people's suggesting you to update your VLC to the latest version or installing codec packs. First Solution: Try the best free VLC alternative – 5KPlayer – a top notch 4K 8K player. 5KPlayer is the best VLC alternative 4K video player which is super lightweight and free to play 4K 8K UHD videos smoothly in full screen mode. No matter what the video format is (MKV/AVI/MP4) or how large the video size is, 5KPlayer can load it swiftly with its enhanced codec decoding ability, especially when it comes to the sticky H.265 playback. Alternative Solution: Try 4K video converter and convert 4K video to VLC compatible. If you are a diehard VLC user and you don't want to replace VLC, it's cool to convert 4K H.265 video to H.264 or other ordinary compression format with the best 4K converter – WinX HD Video Converter Deluxe or MacX Video Converter Pro. If you want to make the 4K video playable for any video player (VLC for instance), or even playable on iPhone/iPad, just convert 4K videos or downscale the 4K video solution with a peerless 4K converter. - Play virtually any video/music formats, including MP4, AVI, MKV, FLV, WMV, MOV video; MP3, AAC, AC3, OGG, FLAC audio, etc. - Integrate professional UHD 4K video decoder to easily handle 4K main 10 profile at 120 fps. - Stream HEVC H265 4K videos across iPhone, iPad, Mac, PC, Apple TV and Airplay speakers, providing indoor elevated cinematic experience. 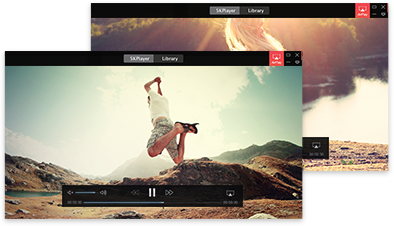 5KPlayer is a free multi-format HD media player that outshines other player software in professionality and versatility. Specialized in playing 4K or 8K UHD videos on both Mac and Windows PC, it ranks video player Softonic download chart No.2 with over 1,600,000 installations, second only to VLC. Besides, this outstanding freeware among top 3 4K video downloaders is shipped with Airplay feature, putting the icing on the cake of this top-trending 4K media playback capability, enabling you to save 4K or 8K content from the whole Internet and stream them to Mac, PC, Apple TV and Airplay Speakers. Keeping updated with major technological tendency as well as consumer needs, the omnipotent Ultra HD player never fails to deliver you super excellent 4K or 8K video playback, download and Airplay solutions. 6How to Download Videos in 4K/8K? Step 2: Launch the free 8K YouTube downloader - 5KPlayer and click YouTube on the main interface to enter 8K video download page. Step 3: Hit "Paste & Analyze URL" button and wait for this 4320p 8K video downloader to parse the URL. Step 4: Click the setting button to choose the target res: 7680x4320 before downloading this 8K video. Step 5: Tap the 8K video download button to download the video in 8K smoothly. To read 4K files, which one is the wisest choice –4K player software or 4K player hardware? This guide will compare top 4K player software with 4k hardware to see which one is better for 4K video playback.